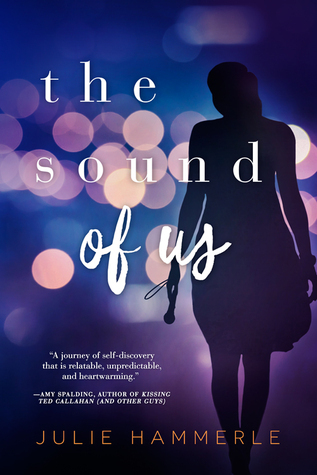 The Sound of Us is an emotional and compelling story about a girl who goes to music camp and finally understands what she wants out of her life. Julie Hammerle did an excellent job of making this story and it’s characters very real and very relatable. Not many teens know what they want to study and do for the rest of their lives. Seeing these students really push themselves for their dreams is really engaging. The friendships and challenges Kiki faces are the same ones any teen does. Questioning who you are as a person, what you want, who you want to be friends with are all important during this stage of life. And just as important is love and heartbreak. Knowing that you may love someone, that they could break your heart- whether it’s a boy or your parents- and that you can move past it. I hope readers come away from this story knowing that they can do anything, that they can reach for the starts, and bring their dreams to life. I’d like to thank NetGalley and Entangled Teen for the opportunity to review this ARC. Receiving this ARC for free does not sway my review.